Home Leeds United News Could Leeds’ current attacking prowess help end new signings woes? Former Hamburger SV hitman Pierre-Michel Lasogga was supposedly photographed in a restaurant in Leeds several Saturday’s ago before United’s home game against Preston, which fuelled speculation that the forward was on the verge of joining the Whites. However, the deal seemed to hit a snag when it appeared the Whites hadn’t reached an agreement to bring the German to Elland Road shortly after the draw against North End, with SportWitness reporting that a problem had occurred in relation to Lasogga’s paperwork. 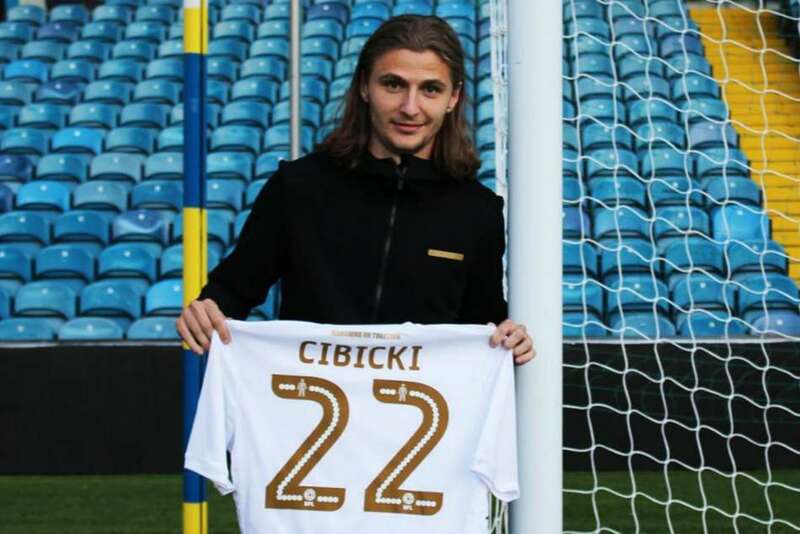 But during the final week of this summer window, Leeds revived their interest in the striker so much so that a compromise was met to allow the 25-year-old to join Swedish attacker Pawel Cibicki in joining the club, as the Whites secured a transfer deadline double. Chris Wood’s potential departure was unthinkable for most of the Whites faithful due to the form and deadliness he found in himself in front of goal, and as a result of this, he finished as the Championship’s top-scorer and became Leeds most sought after player throughout the summer. Despite owner Andrea Radrizzani exercising his stance over the 25 year-old’s future earlier in the window by rejecting a £12 million bid from Burnley, Wood was allowed joined former full-back Charlie Taylor at the East Lancashire club which, understandably, created nerves amongst supporters. The obvious questions arose; why have we sold our best striker, who can we get to replace him, will we get an overseas successor or a regional one? But it seems that the Whites don’t need Chris Wood this season as much as they did under Garry Monk last term – judging by the past three performances anyway. After he refused to play against Sunderland, Leeds were left with the untested Caleb Ekuban up top who in fairness to him held his own very well before luck struck with yet another injury, which left the only recognisable striker on the sidelines. But Leeds United’s resilience, which has been present since the start of the season, shone through as they won comfortably 2-0, then 5-1 against Newport and more recently, another 2-0 away win at Nottingham Forest. United’s end to the month certainly proved something – no player is ‘indispensable’ and the fact that the Yorkshiremen defeated Forest, a team who were in fine form themselves going into the game, only goes to show what good business Leeds have done getting such a big fee for the New Zealander. New boy Lasogga, a 25 year-old German who started his professional career at Bayer Leverkusen, was prolific in his first spell with Hamburg in the 2013/14 season where he scored thirteen goals in twenty competitive appearances. But since his debut season with the German outfit, Lasogga has managed a mere thirteen goals from seventy-six appearances. Lasogga’s goal record may not fill the Elland Road faithful with confidence and despite having no experience in England, like every player who signs for the Whites, the supporters will give him a chance to prove himself. He will be competing with Ekuban (when he returns) as well as fellow new boys Jay-Roy Grot, 23-year-old Cibicki and current first choice Kemar Roofe. With United’s current array of talent and the clinical attacking play they’ve displayed so far, Lasogga’s goal problems may very well be a thing of the past. One man who should be honoured and toasted for Leeds success is Andrea Radrizzani. His personal appointments during the revamp at the start of the summer such as Victor Orta and Angus Kinnear, have been pivotal. Deals have been secured, players have been lured in and success has been achieved by the Whites as a result of Radrizzani making those appointments. The Italian buying back Elland Road, something no owner has done in over 10 years, just topped off the outstanding job he has done for the club since taking over.